Hanwha Techwin Europe has launched three radiometric thermal models that alert operators when temperature falls outside certain parameters. Part of the Wisenet T thermal camera range, the new models – TNO-4030TR, TNO-4040TR and TNO-4041TR – can detect when air temperature exceeds or falls below preconfigured parameters. The TNO-4030TR has a 13mm lens and a maximum range of 1,173m for vehicle detection; the TNO-4041TR can be mounted on a PTZ unit; and the TNO-4040TR boasts a 19mm lens and maximum range of 1,714m. For monitoring areas vulnerable to fires, such as oil and chemical facilities, construction sites and forests; recycling and waste management centres, where spontaneous combustion is a risk;detecting temperature changes favourable to spread of disease at poultry and livestock farms; and projects with concerns about light pollution. IP66 and IK10 ratings for protection against water, dust, and mechanical impact, making them an ideal choice for outdoor applications as well. 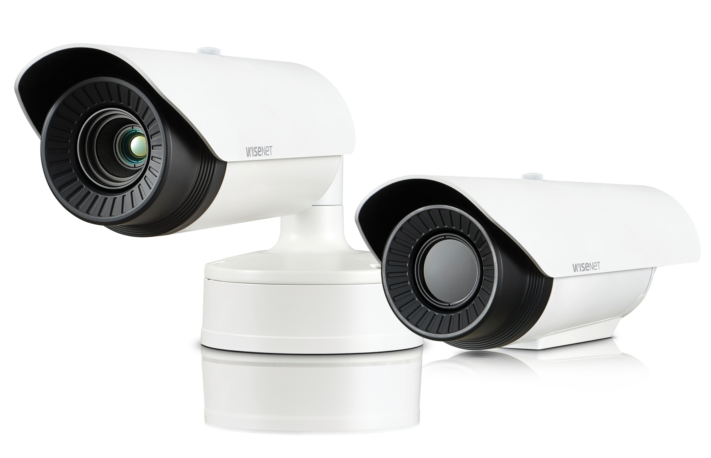 Hanwha Techwin is a developer of video surveillance solutions for IP, analogue and hybrid systems. Formerly Samsung Techwin, Hanwha Techwin was among the first in its field to run software solutions within the camera – at the edge of the system instead of the hardware at its heart. Hanwha Techwin Europe’s solutions, which encompass network cameras, DVRs, VMS systems and compression technology, are available across Europe via an extensive network of distributors. Founded in 1952, the Hanwha Group is a Fortune Global 500 company with 52 domestic affiliates and 146 global networks in manufacturing and construction, finance, and services and leisure. Hanwha Techwin Europe is exhibiting at IFSEC International 2019, taking place 18-20 June 2019 at ExCeL London (stand IF1310). Book your free ticket now. 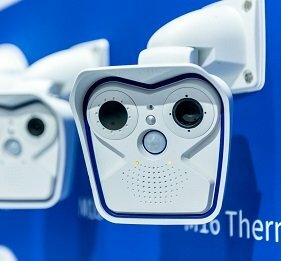 Hanwha Techwin Europe introduces three radiometric thermal models to Wisenet T range Part of the Wisenet T thermal camera range, the new models – TNO-4030TR, TNO-4040TR and TNO-4041TR - can detect when air temperature exceeds or falls below preconfigured parameters.